Dr Sayyed Jaafar Fadhlallah, son of late Grand Ayatollah Mohammed Hussein Fadhlallah visited AMI between 26th September and 1st December 2017 during which he was actively involved in AMI’s events and activities whilst also teaching on the Hawza programme. During his stay, Sayyid Fadhallah has taught a variety of Fiqh and Usul modules to year 2 and 3 students and facilitated regular mubahitha (discussion) sessions with students to assist with their research work. 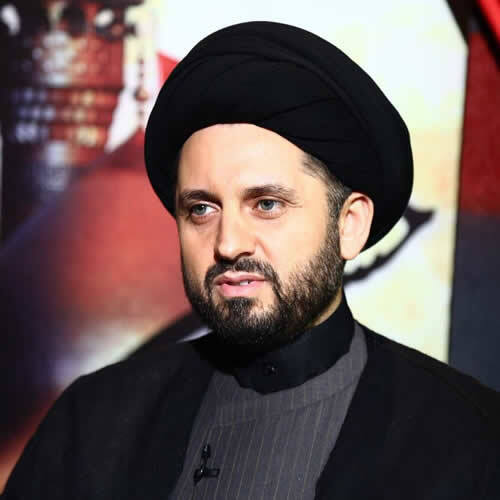 On a visiting research fellowship at Al-Mahdi Institute between 26th September and 1st December; Dr Sayyed Jaafar Fadhlallah, son of late Grand Ayatollah Mohammed Hussein Fadhlallah, has been actively involved in AMI’s events and activities whilst also teaching on the Four-year Hawza programme. During his stay, Sayyid Fadhallah has been teaching a variety of Fiqh and Usul modules to our year 2 and 3 students and has also been facilitating regular mubahitha (discussion) sessions with students to assist with their research work. Aside from this, he delivered a Friday sermon at AMI (see video below) on the relationship between man and is Lord. He also participated in the Shia Scholars Forum’s discussion on ‘Karbala in the midst of History and Narrative: Typology of Genres of Maqatil’ at AMI on 14th October 2017. During his visit to AMI in August 2015, Ayatollah Dr Nobahar participated in a Q&A session with Shaykh Arif Abdulhussain on the topic of; ‘Practicing Islam in the Contemporary World.’ He also taught advanced level modules in Fiqh and Usul-fiqh to year 3 and 4 students and assisted in supervising their research work. Ayatollah Dr. Rahim Nobahar is a senior Shiite cleric and holds the highest degree of Islamic Jurisprudence, Ijtihad, from the seminaries in Qom. 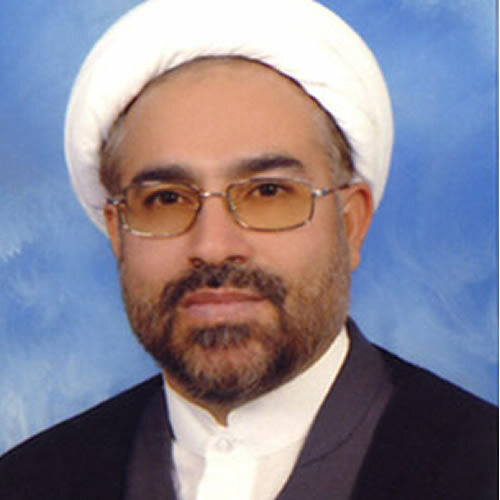 He has served as Senior professor at Shahid Beheshti University Law School in Tehran, Iran, since 2001. ”I find my presence in AMI a unique, inspiring and inventive experience. Indeed, I have already had experiences with Christian institutions mainly applying interdisciplinary and intercultural methodologies for teaching and research. But, it was the first time I was involved in teaching and research practice in an institute characterized by a Shii identity and offering and understanding Shii teachings in a response to and correspondence with the contemporary world and the cultural plurality of its societies. I could observe the vibrant and thriving Shii spirit, i.e. the Shii Ijtihad methodology, in all of the activities in AMI. I was impressed by the way classical texts in areas of fiqh and its principles (Osool Fiqh), kalam, and philosophy are taught and reread in light of contemporary issues. In my view, AMI is an example for the strength of Shii thought in the contemporary world as it seeks – in the midst of radicalism and dogmatism on the one hand and the chaos of relativism and reductionism on the other – to pave the moderate way for an original religious intellectualism through the reconstruction of religious thought and thus introduce a unique model for collective Ijtihad and the peaceful coexistence of various religions and Islamic sects. During my stay in AMI, I carried my research about “Theology of Shi‘ite Ziyārah: the Case for a Norm-Sensitive Approach to Religion” (click for more info) and practiced teaching classical texts in fiqh and its principle (Osool Fiqh). In a seminar, I presented a number of findings from my own research. In a different event, I lectured, together with Dr. Shaykh Arif and Dr. Ali-Reza Bhojani, a talk titled ‘Hermeneutic Elements in the Methodology of Shii Ijtihad: Agreement with the Spirit of the Book, and Derivation of Justice as the Purpose of Sharia’. Moreover, I participated in classes run by other professors in order to get familiar with their teaching methodologies in a modern English-speaking society. The way students in my class encountered classical seminary texts indicated their hermeneutical thought and reasoning as well as their hermeneutical circles between a traditional text and the questions of a modern mind. This method can be seen as a ‘modern seminary’. The elite structure of this established but evolving ‘modern seminary’ is another characteristic providing space for young theologians and mujtahids – including Dr. Ali-Reza Bhojani, Dr. Wahid Amin and Dr. Hashim Bata. 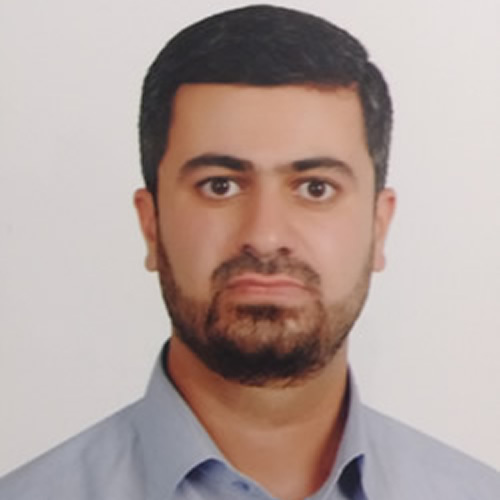 Dr Jafar Morvarid is an assistant professor of philosophy and Islamic Theology at Ferdowsi University in Iran and Dean of Institute of Short-Term Educations & Sabbaticals, Almustafa University of Mashhad, where he operates different interfaith projects. He has given several lectures on “Interreligious Dialogue: Requirements and Obstacles,” “The Third Interreligious Dialogue between Shi’a Islam and Orthodox Christianity,” and “Interfaith Dialogue between Benedict Christianity and Shi’a” in various universities and communities. During his stay at AMI as a Visiting Fellow in January 2015, Professor Abdulaziz Sachedina participated in a panel discussion with Shaykh Arif Abdulhussain on “Euthanasia and end of life decisions” in which he spoke about the Ethical and Legal dimensions regarding end of life decisions. Aside from this, he also delivered lectures and discussion circles with the year 4 students on the Hawza programme. 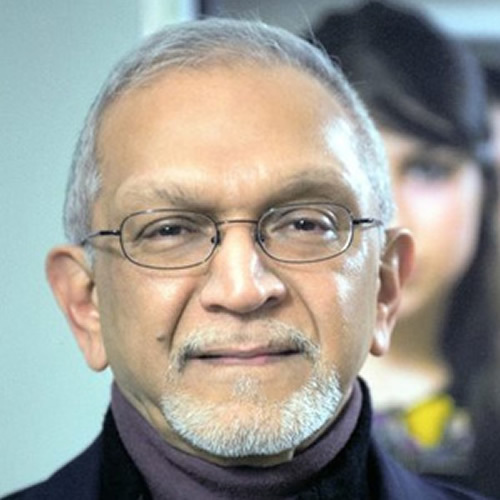 Professor Abdulaziz Sachedina is a Professor of Islamic Studies at George Mason University in Fairfax, Virginia.